I am just back from a lovely family holiday with the hubby, kids, parents and brother. It was great to drink vinho verde in the sun (and in a bit of rain) and chat, slag and as Father says “talk amongst ourselves”. That’s gossip and giving out to you and me. When we were away I heard that the former headmistress of my old school, St Louis Grammar in Ballymena, Co Antrim, had passed away. At the grand old age of 92, Sr Sheila would have been in her 60s when I was at school. She retired before I left St Louis and the first lay principal was appointed. When I was at University, I went to visit her in the Convent one summer. I remember the day well as it was warm and I dared not touch the melting chocolate digestives in case I distorted my good convent girl image in front of her. I was dressed in a totally prim outfit and made sure to bend the legs to the side and cross my ankles just as we were taught back in the day. 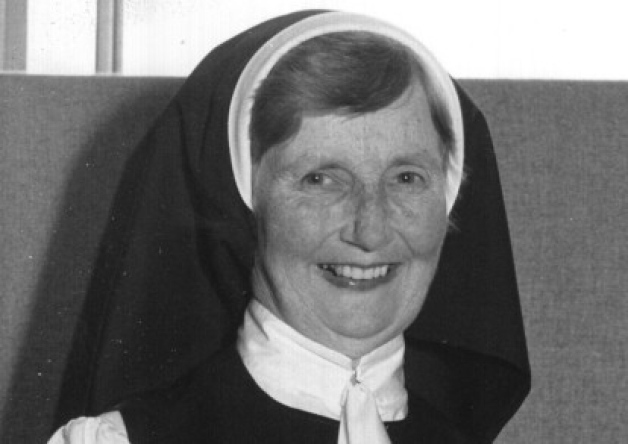 We had a great aul yarn and she was praising me left, right and centre and saying what a wonderful student I had been. My convent education had taught be well and I was compelled to be honest and remind her that I had been in loads of trouble. Her reply was simple but firm, “Not in my day.” Not a truer word was said as I was on my best behaviour while she was in charge and then it all went a bit pear shaped! Vodka. Hurling. Dundalk. I will say no more. Previous Post Let it rain, let it rain! Next Post Swim Along with Me!